The Eighth Circuit Court of Appeals granted a big win to CAFO owners last Friday when it ruled that the EPA abused its discretion by concluding that the release of personal information about CAFO owners would not invade substantial privacy interests. The case arose when three organizations—Earthjustice, the Pew Charitable Trusts, and the Natural Resources Defense Council—filed a Freedom of Information Act (FOIA) request seeking detailed records about confined animal feeding operations (CAFOs) regulated by the EPA under the Clean Water Act. The EPA disclosed a detailed spreadsheet of personal information about the CAFOs and their owners, including the names and addresses of the CAFOs (which were often the owners' home address), GPS coordinates of the CAFOs, as well as the e-mail addresses and primary telephone numbers of the CAFO owners. The EPA released the requested information after determining that substantial privacy interests were not implicated since the information was publically available through other sources. The agency also determined that, even if there were a privacy interest, that interest was outweighed by the public’s interest in disclosure. 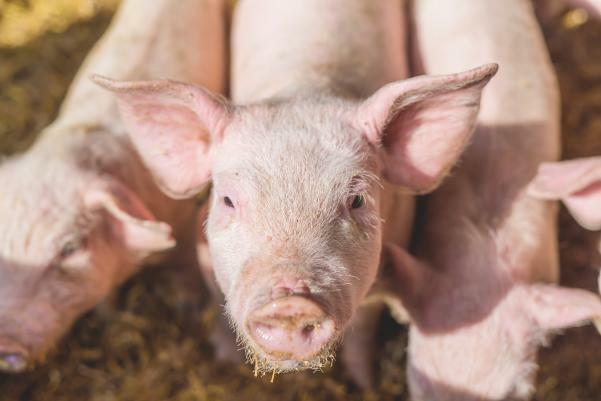 The American Farm Bureau Federation and the National Pork Producers Council, on behalf of their members, filed a reverse FOIA action under the Administrative Procedures Act against the EPA. The organizations sought to enjoin the EPA from making additional disclosures of personal information of its members and to require the EPA to retract the information already disclosed. The groups argued that Exemption 6 of FOIA (5 U.S.C. § 552(b)(6)) protected the information from mandatory disclosure and that the agency abused its discretion by releasing it. The District Court for the District of Minnesota dismissed the action, finding that the organizations lacked standing because the personal information of their members was already publically available. On September 9, the Eighth Circuit Court of Appeals reversed, essentially ruling that the district court had missed the point. The court ruled that the groups had established a concrete and particularized injury in fact: the nonconsensual dissemination of personal information of their members. This allegation and the risk of impending disclosures was sufficient to establish an injury in fact caused by the agency and redressable by the court. But, the court did not stop its analysis with the standing issue. Rather, the court stated that the district court, in assessing the standing question, had in substance addressed the merits of the case. In fact, the court stated that the district court’s decision on that question was foreordained. As such, the court ruled there was no reason to remand the case for a decision on the merits. It instead proceeded to consider whether EPA’s decision that Exemption 6 did not apply was an abuse of discretion. Exemption 6 under FOIA protects records from mandatory disclosure under the FOIA. In analyzing this question, the court first found that releasing the personal information about the CAFO owners would constitute a substantial invasion of privacy because it would facilitate unwanted contact with CAFO owners by FOIA requesters and their associates “and even potential harassment of CAFO owners and their families.” The court went on to conclude that an individual’s interest to control the dissemination of personal information does not dissolve simply because that information may be otherwise available in the public domain. The court pointed out that the requesters are seeking access to a “single clearinghouse of information” and that the advocacy groups’ “multi-year effort to obtain the data show that the EPA has consolidated information that would otherwise exist in considerably greater obscurity.” The court noted that if the information were so easy to access, it would be “passing strange” that the parties would engage in “protracted and expensive litigation” to obtain it through a FOIA request. The court ruled that the members’ substantial privacy interest in the personal information was not overcome by the public’s interest in disclosure. The court noted that the disclosure of names, addresses, phone numbers, e-mail addresses, and GPS coordinates does not directly shed light on the EPA’s performance of its duties under the Clean Water Act. As such, the personal information does not assist in letting the public know “what their government is up to.” The court found that disclosing the spreadsheets in redacted form would have allowed the public to see the scope and comprehensiveness of the EPA’s efforts, without intruding into the personal privacy of the CAFO owners. This ruling, however, means only that the records were exempt from mandatory disclosure under FOIA. Under the law, the EPA would still have the discretion to disclose the information within the FOIA exemption, unless something independent of FOIA prohibits disclosure. The farm groups asked the court to find that the Privacy Act is that “something independent.” They asked the court to enjoin the EPA from disclosing further records in its discretion. And this is where the court stopped short. Noting that the record regarding this question had not been developed before the district court, the Eighth Circuit remanded the case to the district court. On remand, the district court is to determine whether the Privacy Act or other EPA policy would prevent the EPA from disclosing these records in the agency’s discretion. If so, the district court could then enjoin release of the records. If not, the records could be disclosed. Although this was an important victory for farm groups, the injunction may not ultimately be granted. Am. Farm Bureau Fed'n v. EPA, 2016 U.S. App. LEXIS 16623 (8th Cir. Minn. Sept. 9, 2016).